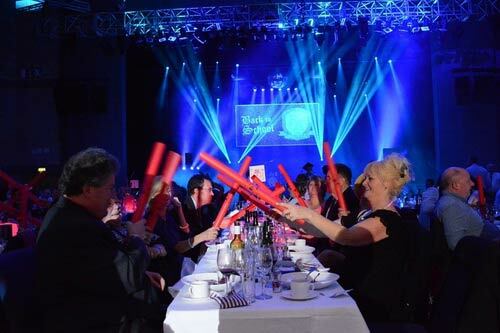 Interactive drumming and percussion events for corporate team building activities. 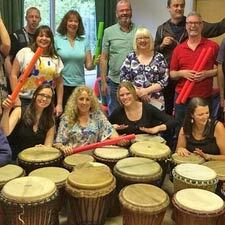 Our high-energy interactive corporate drumming and percussion events provide a fun, new way of communicating and bringing people together through team work. 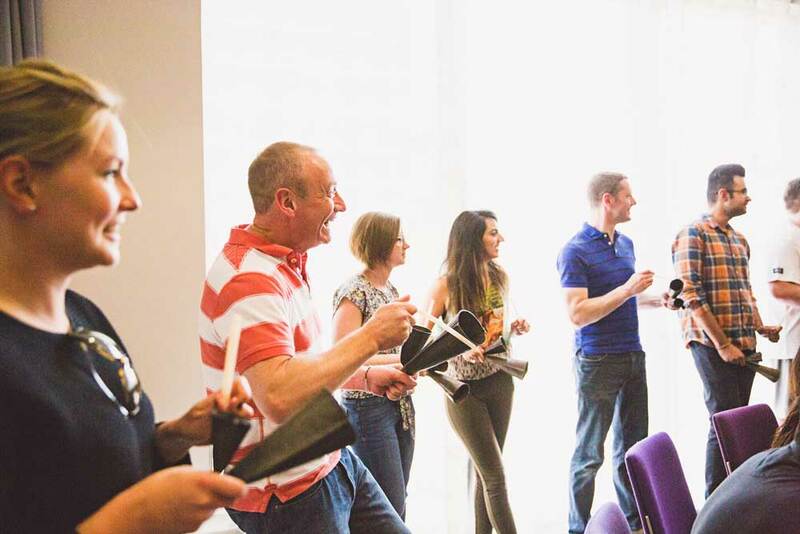 From team building activities and away days to icebreakers for thousand strong conferences, Unbeatable Energy sessions will energise and invigorate any gathering. Unbeatable Energy regularly provide corporate team building activities at conferences and events to get them off to a flying start, energise weary delegates in the middle, or deliver the grand finale. Alongside our off the shelf sessions detailed below, we are more than happy to craft experiences to suit your requirements. Just get in touch to talk about your own unique event. This session works well as a highly invigorating and exhilarating finale to a conference. All delegates participate in an African Drum Circle session, creating an exciting sound using African ‘Djembe’ hand drums, bells, shakers, wood blocks, and other percussion instruments. Delegates are taught a series of simple and accessible rhythms which they learn to weave together into a complex and fantastic sound. As the group becomes transformed into a powerful team playing multi-part rhythms, they will experience the collective power of group drumming. Capture the excitement of the Rio 2016 Olympics, with an authentic samba drumming session that will energise delegates and bring a carnival atmosphere to your event. With real Brazilian samba instruments, delegates will discover new ways to communicate and work together – all while creating fantastic samba rhythms. Samba drumming sessions can be customised to fit your corporate event needs. Click below to find out more. A powerful energiser to kick off the day, wake people up after lunch, or provide a unique after-dinner slot. Boomwhackers are coloured tubes that create different harmonic tones when played. As delegates identify how each colour creates its tone, they will be given simple rhythms to play in teams. Each team’s rhythm is layered together and within minutes a complex six-part rhythm is created. 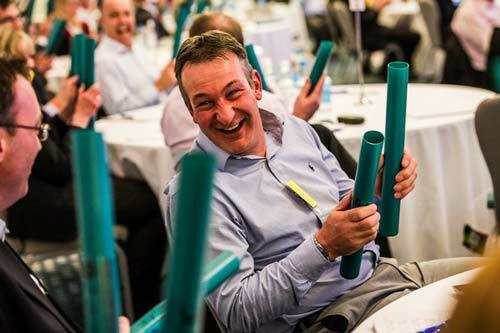 The Boomwhacker Conference Ice Breaker session is very successful in a conference theatre or cabaret seating format. It can very quickly provide the feel good factor, creating interaction and connection between delegates seated around the room. Uniquely designed by Unbeatable Energy to encourage positive dialogue and collaboration between delegates who may not normally work together, this session is the perfect levelling activity for businesses and organisations who wish to integrate new staff or merge teams. Using either African Drums or Boomwhackers, delegates learn the basics then split into smaller teams to devise a short rhythm or choreographed piece. The teams return to play together with each team showcasing what they have achieved. The final outcome is the creation of a musical piece, built up from the core rhythm and each group’s unique compositions. Team Drum Circle workshops explore the links between making music and good communication. Our unique approach has been developed over 10 years, assisted by management development consultants and clients’ feedback, and so we know we have a winning formula. Through an environment that puts everyone on a level playing field, and facilitates individual creativity and rapid learning, delegates are able to listen to those around them and work together – essential skills in any business environment. Get in touch to discover what a corporate teaming building activity, centered around African drumming workshops could do for your organisation.